Hi and welcome to Emily’s home! Come on in! This is the decor of our entryway. I’m a pretty simple gal, so my decorating tends to reflect that. One night, I was having the hardest time going to sleep. I decided to do a little chalkboard doodling in our playroom and was extremely pleased with this tree I drew. In our Kitchen/Dining Room area I have hung my DIY Advent calendar. This has been a huge hit in our house. Saying my boys love it, is probably an understatement. 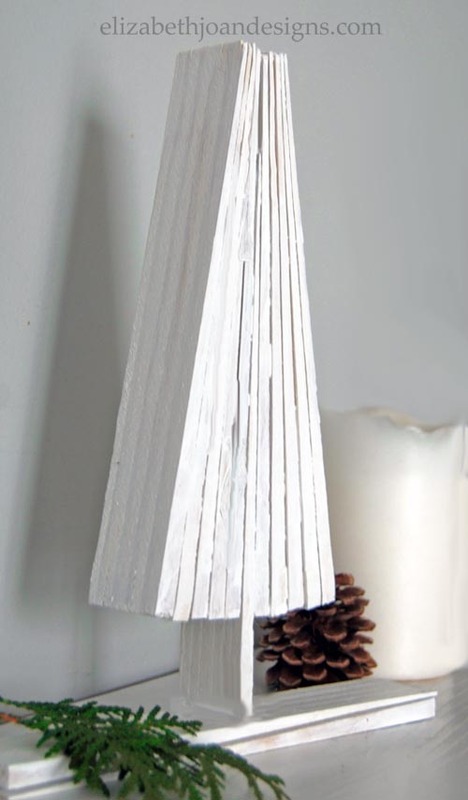 I am still keeping things simple here with my wood shim Christmas Tree. Some of my favorite ways to decorate is with touches of nature found right in my very own backyard. 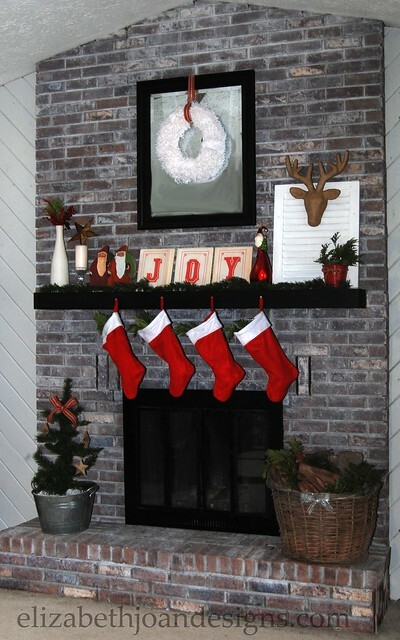 Styling this fireplace and mantle brought me so much joy, that I felt the need to spell it out for everyone to see. 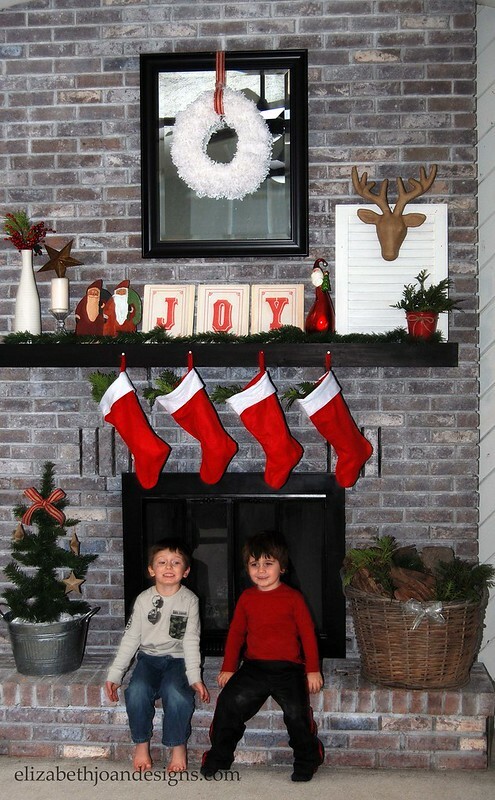 Do you like our dollar store stockings hung by the chimney with care? 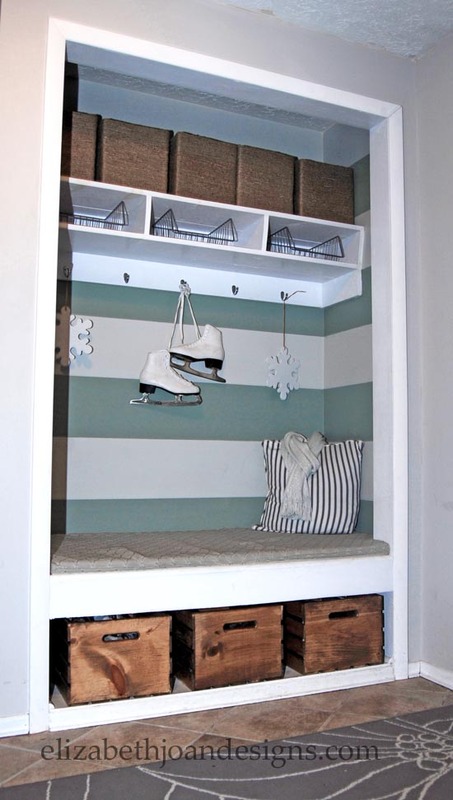 I think they add a nice pop of color to our very neutral Great-room. Take a real good look at this pic. My two boys in the same photo! This almost never happens! These two Santas are very special to me. Our grandpa had mad wood working skills and had cut these bad good boys out. Our mom painted the one on the left and the 10-year-old version of me painted the one on the right. (I know what your thinking, that I was a real prodigy, huh?) Our mother passed away when I 12 and these little guys became mine. When I was in my 20’s and moving all around the country, so did these Santas. I make sure they make my holiday decor cut every year. 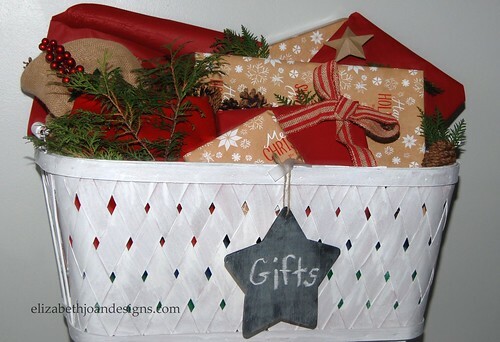 I found that this antique bassinet is a great way to keep our wrapped gifts safe from curious little fingers. My oldest son keeps telling me we NEED more Christmas decoration. To keep his holiday spirit up, together we added little festive touches to his room. His favorite part is that he got his very own tree. Well, that’s it for the tour. Thanks for stopping by and Happy Holidays to you! 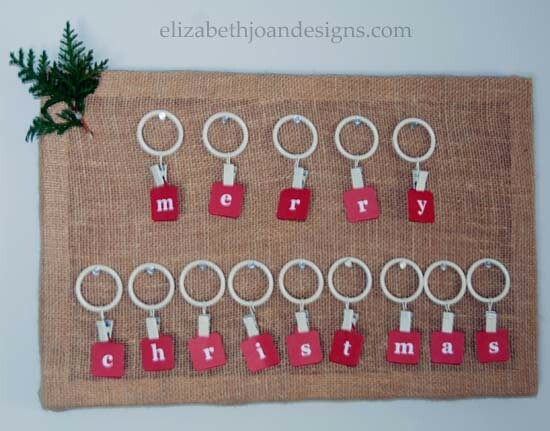 Emily, I love all your sweet Christmas crafts! 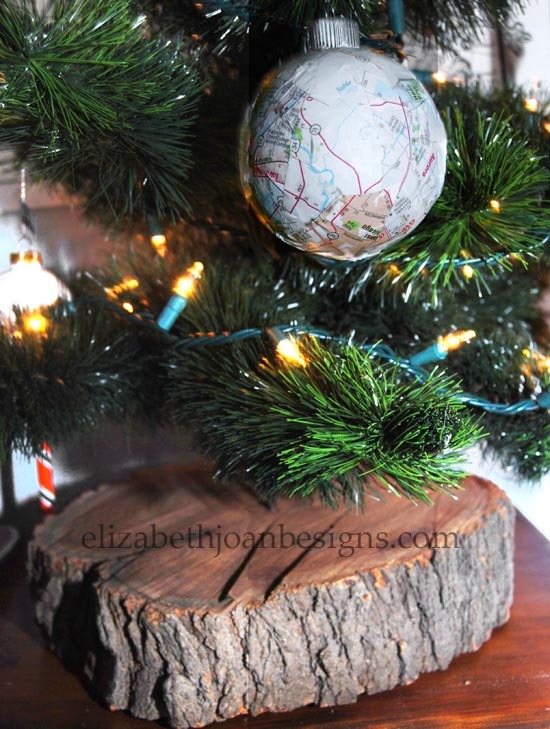 And that wood shim tree…. genius! 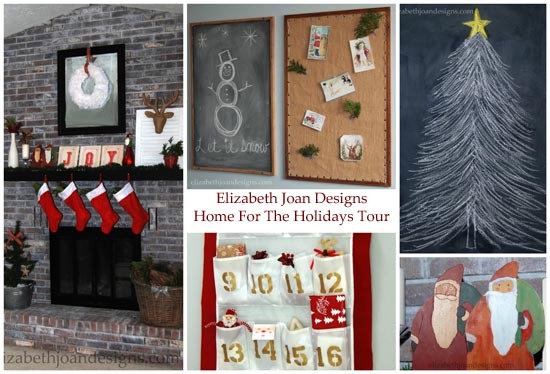 :) All the meaningful items you have in your decor inspire me to make some Christmas traditions this year.. Thanks Naomi! You are so sweet. That wood shim tree was really simple to make and I just love it. Thanks for stopping by! Thanks Bre! 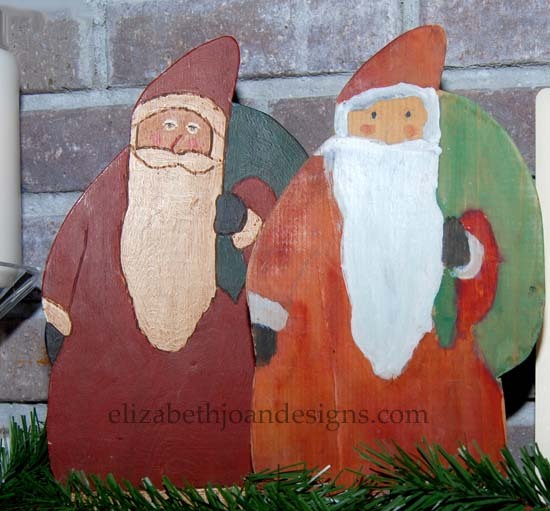 I am hoping some year I can get my dad to cut out a couple more of those santas for my boys to paint. Merry Christmas to you too! Thanks for sharing Emily! Those Santas and the sentiment behind them are so sweet. The holidays certainly are a time for reminiscing. I love that. Merry Christmas and happy hopping! Thanks Laura! So glad you liked the santas. They are my favorite! Merry Christmas to you too! I’m quite the fan of your 12-year-old-painted Santa! It’s all so simple but so pretty, thank you so much for sharing Emily!! Thanks Emily for organizing this hop and inviting us to join. So glad you like my Santa. I am pretty fond of him too. 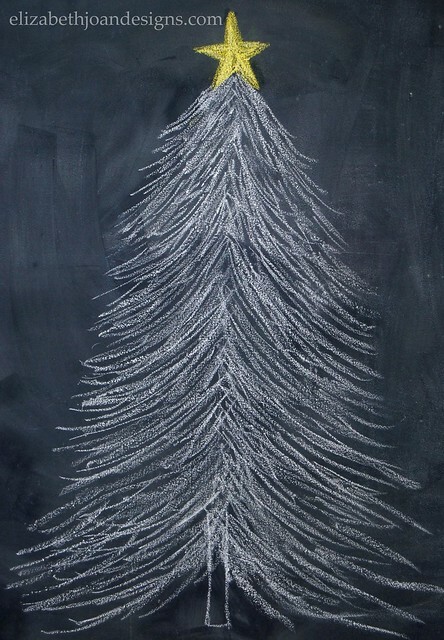 I really like your chalkboard tree. Happy Holidays and glad to be on the tour with you. Thanks Michelle! So glad you like the tree. I am not much of an artist when it comes to drawing, but I am pretty proud of how this one turned out. Thanks for visiting! Thanks so much for your kind words Shannon! Thanks Karisa! You are so kind! Glad you stopped by! So pretty, Emily!! 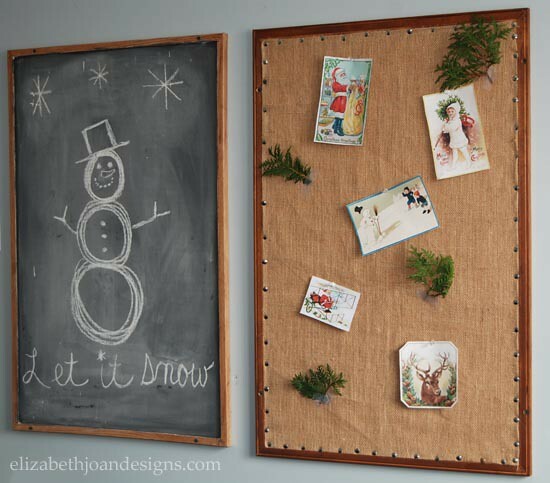 :) Love your wood shim tree and your “doodling” on your chalkboard is pretty amazing! Hope you ladies have a very Merry Christmas! So happy to follow you both in this blogging journey! Thanks Kendra! We love keeping up with your posts too! What a beautiful home you have! 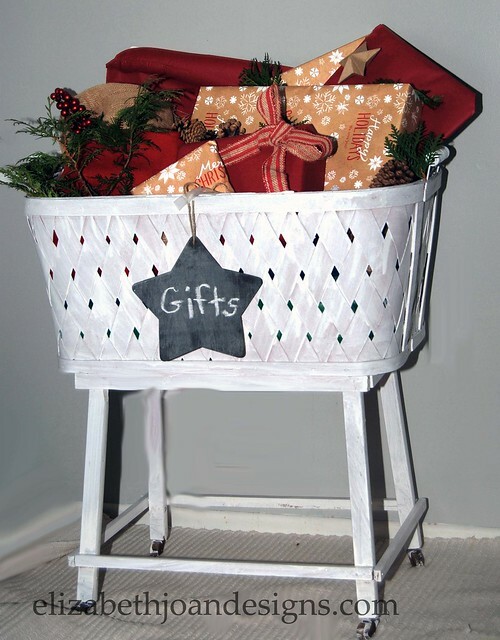 I love those Santas and the special memories they hold for you – those are the best kinds of decorations! Thanks Erica. You are so right. Sentimental decor is the best for this time of year. It just wouldn’t be Christmas for me without those Santas. Thanks for visiting! I LOVE you house, Emily!!! So cute and cozy!! The wood shim trees are genius and adorable! 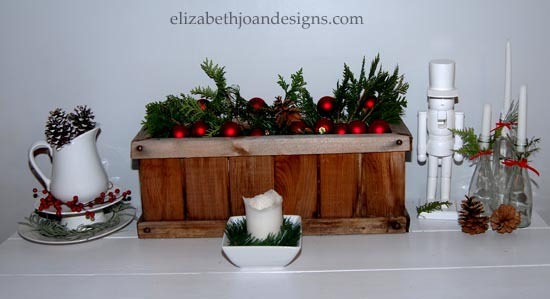 Your mantel looks lovely, too. And your boys are too cute!! :) Merry Christmas!